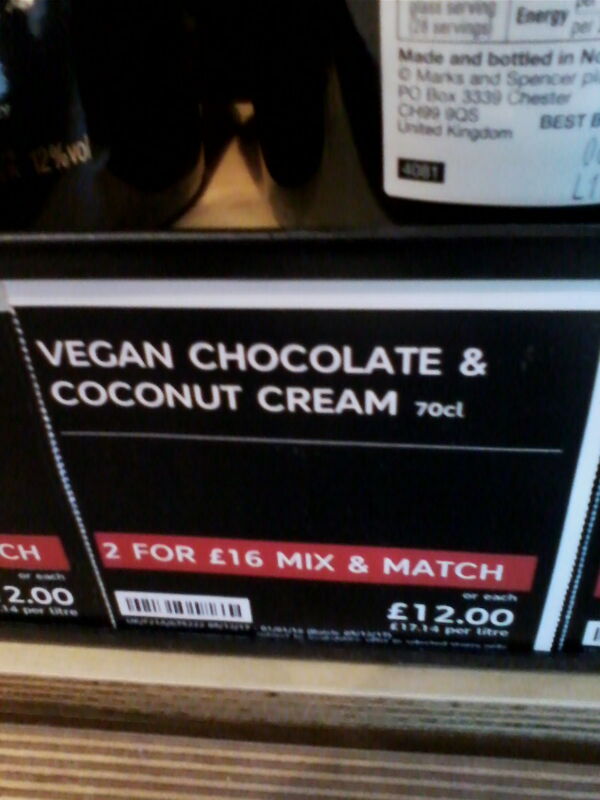 The Vegan Magpie: M and S Alcoholic Drinks offer! M and S Alcoholic Drinks offer! Hello! 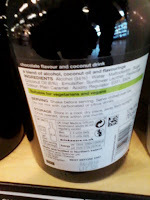 Earlier in the week I said I was planning a post about M and S Alcoholic drinks, here it is! 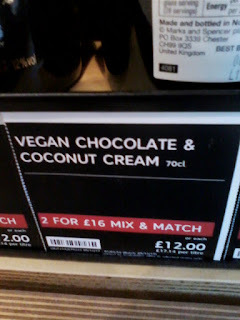 Whilst M and S are perhaps not the best shop for vegan food...they are really awesome at marking their alcoholic drinks! 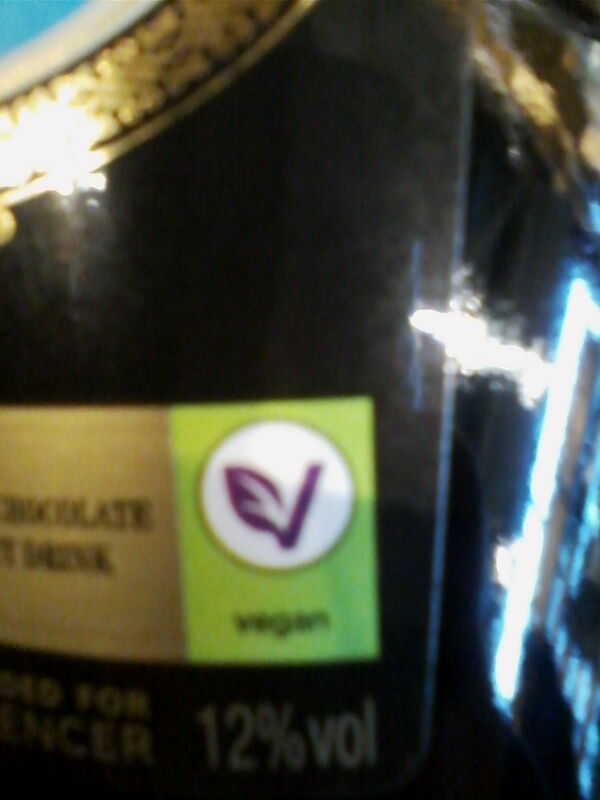 They mark it either by the purple v on the front, or by writing 'suitable for vegetarians and vegans' on the back. These labels seems to be mainly on new drinks, so there may be older bottles that are still worth checking to see if they're vegan (like the fizzes etc). These are to show the logos and labels to look out for! Now for the exciting part. 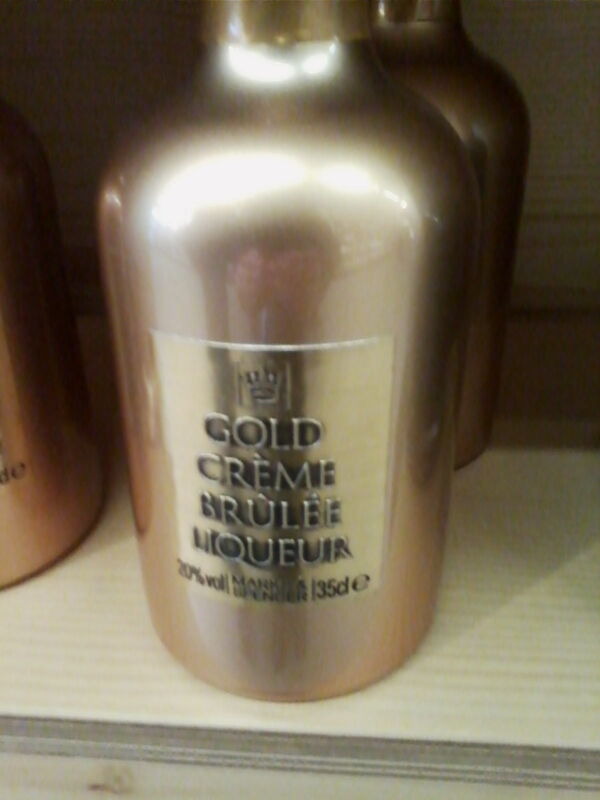 They have recently released a creme brulee liqueur and even more recently a chocolate coconut drink! 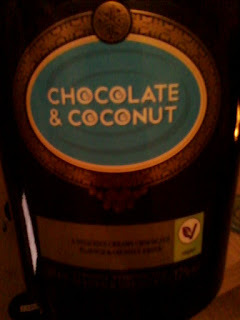 I am drinking the coconut one as I type this *hic* and IT'S JUST HOW I REMEMBER BAILEYS!! Both of these drinks are on an offer too! They are £12 each, or 2 for £16!! I couldn't see a date for when this offer ends, so I suggest getting some sooner rather than later if you want them! It possibly says 1st January, but I can't confirm it yet. I'll edit this when I can. Also (not on offer) was a whole range of delicious sounding drinks, including 'melt in the mouth' chocolate liqueur, clementine and ginger liqueur, pineapple and lime daiquiri, blood orange negroni and a Christmas cobbler cocktail to name just a few. All labelled! 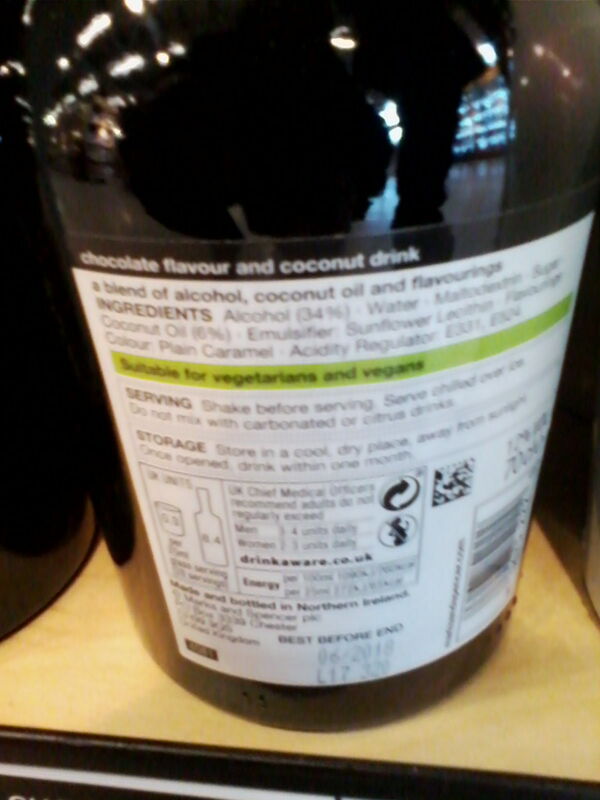 Labels: alcohol, alcoholic drinks, chocolate, chocolate drinks, in store, labelled vegan, m & s, m and s, offer, on offer, Vegan, vegan baileys, woohoo! Boxing Day and January sales!